Quality Furniture, Mooresville, NC | Gibson Brothers Furniture Inc. Quality Furniture, Mooresville, NC | Gibson Brothers Furniture Inc. If you are looking for quality furniture pieces that boast exceptional workmanship and beauty, we want you to come see us in Mooresville. Outfitting your house with stunning furniture pieces that match your lifestyle and personal style is what truly makes your house feel like a home. If you are looking for quality furniture pieces that boast exceptional workmanship and beauty, we want you to come see us at Gibson Brothers Furniture Inc. Our furniture store boasts a selection of furniture pieces made right here in the U.S., and we are known for the quality of our customer service throughout the Mooresville, North Carolina area. When you come in to browse the quality furniture pieces displayed in our showroom, you will find that we maintain a low-pressure sales environment designed to help you find exactly what you are looking for. Our furniture professionals will give you as much or as little help as you need while you browse, and we are always around to answer any questions you might have. 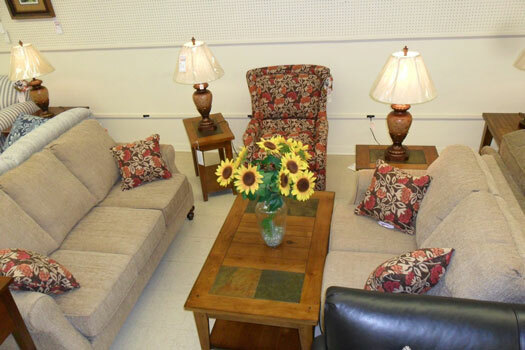 Please remember that we have quality furniture options for nearly every room in your home. Whether you want to completely redo your living room with new pieces or you would like to find a new mattress for your bedroom, you can find it at our store. We have over 60 years of experience in the furniture business, so you won’t be disappointed by our quality furniture or your experience shopping at our store. Stop by and visit us today or give us a call at Gibson Brothers Furniture Inc. if you have any questions.